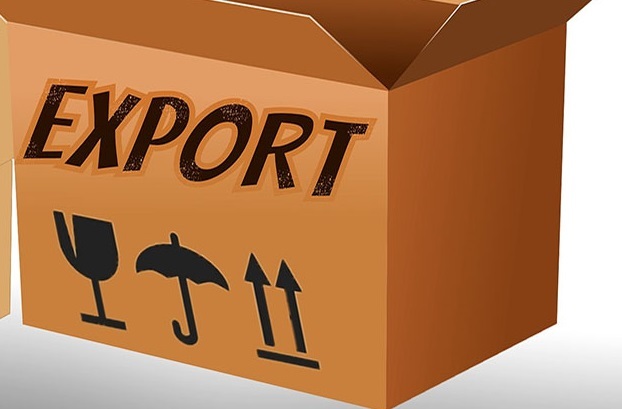 The term export in international trade means the sending of goods or services produced in one country to another country. The seller of such goods and services is referred to as an exporter; the foreign buyer is referred to as an importer. Export of goods often requires involvement of customs authorities. An export's reverse counterpart is an import. Many manufacturing firms began their global expansion as exporters and only later switched to another mode for serving a foreign market. Methods of exporting a product or good or information include mail, hand delivery, air shipping, shipping by vessel, uploading to an internet site, or downloading from an internet site. Exports also include distribution of information sent as email, an email attachment, fax or in a telephone conversation. Trade barriers are government laws, regulations, policy, or practices that either protect domestic products from foreign competition or artificially stimulate exports of particular domestic products. While restrictive business practices sometimes have a similar effect, they are not usually regarded as trade barriers. The most common foreign trade barriers are government-imposed measures and policies that restrict, prevent, or impede the international exchange of goods and services.